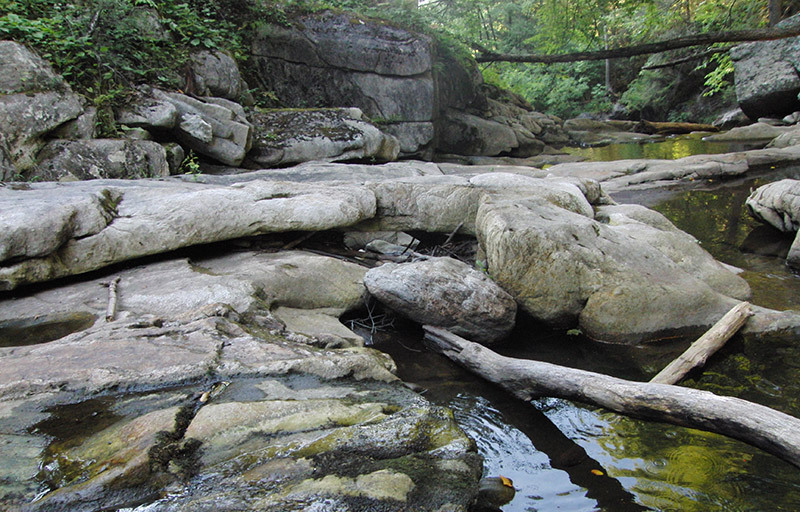 It is hard to find a natural arch in Connecticut, but NABS member Robert O’Connell found two of them at Kent Falls State Park, accessible by a well-maintained trail. The arch above is located on the edge of the bottom step at the very base of the falls. 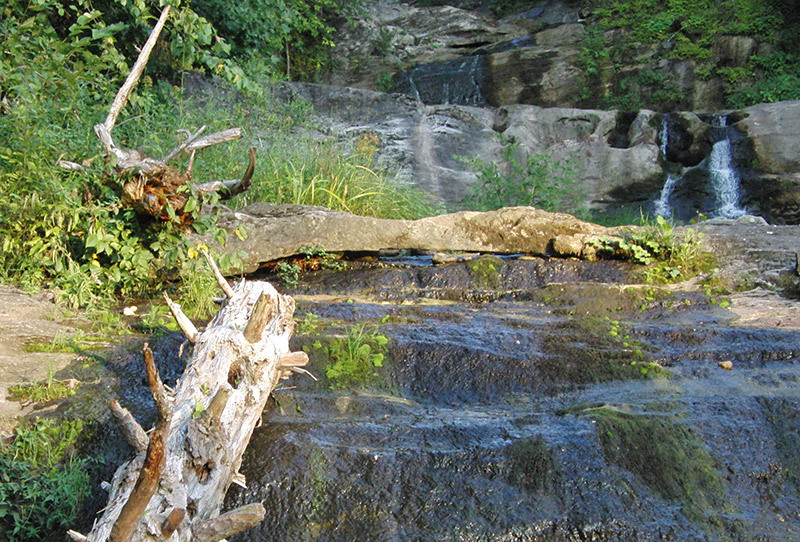 To find the arch, walk along the trail to the bottom of the falls and look to the left. The arch is several feet wide but the vertical opening is at most a few inches high. The arch below is near the top of the falls, on the flat portion of the second step. This arch is probably no more than a foot or so in both width and height, and at higher water is completely submerged. Photos by Robert O’Connell.